Rev. 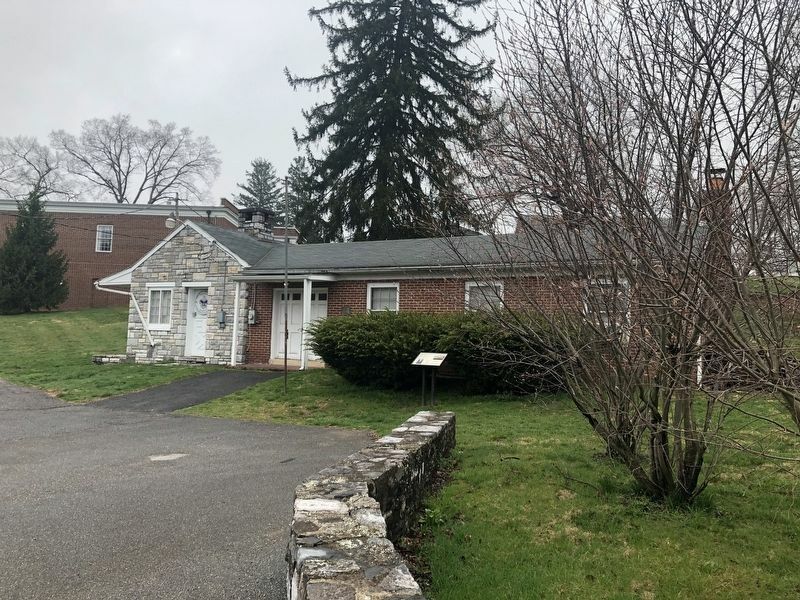 M. F. Petzold, pastor of the Methodist church, of Williamsport, is arranging to organize a patrol of Boy Scouts in that place. At a preliminary meeting held at the Methodist parsonage on Monday evening, thirty-two boys applied for membership. Rev. Mr. Petzold is enlisting the aid of the other pastors of the town and citizens in the movement." This is how it all began, quoted from a newspaper article from Hagerstown's Daily Mail on Wednesday, May 6, 1914. At this time, the group did not have a unit number. 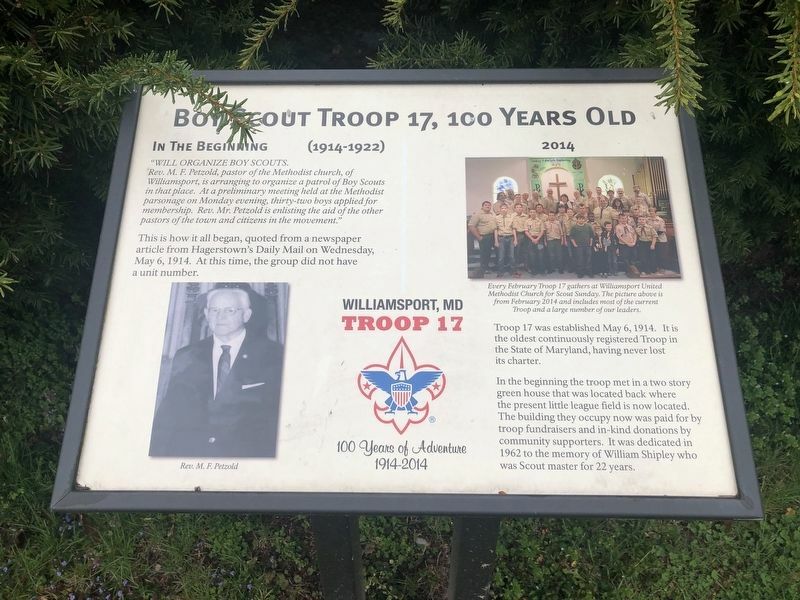 Troop 17 was established May 6, 1914. It is the oldest continuously registered Troop in the State of Maryland, having never lost its charter. In the beginning the troop met in a two story green house that was located back where the present little league field is now located. The building they occupy now was paid for by troop fundraisers and in-kind donations by community supporters. 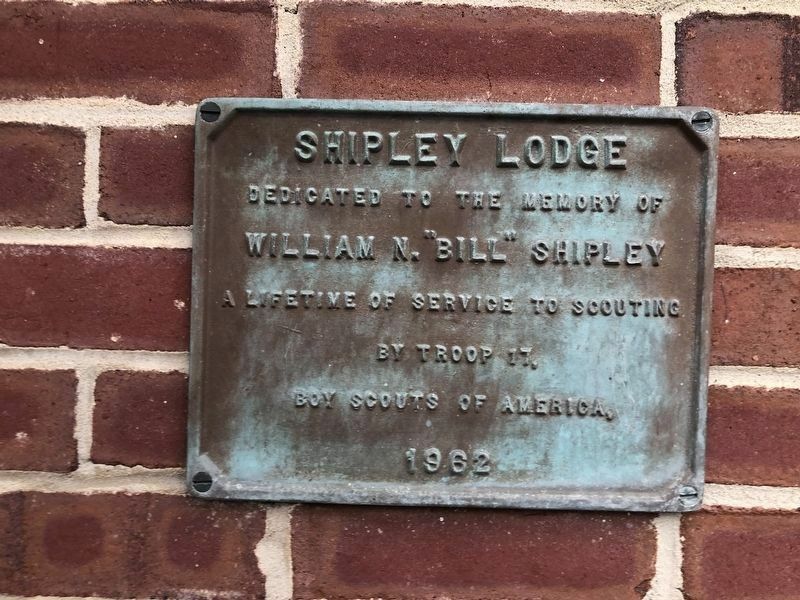 It is dedicated in 1962 to the memory of William Shipley who was Scout master for 22 years. Every February Troop 17 gathers at Williamsport United Methodist Church for Scout Sunday. The picture above is from February 2014 and includes most of the current Troop and a large number of our leaders. Location. 39° 36.012′ N, 77° 49.013′ W. Marker is in Williamsport, Maryland, in Washington County. Marker can be reached from Park Road south of East Potomac Street (U.S. 11), on the left when traveling south. Touch for map. Marker is at or near this postal address: 104 East Potomac Street, Williamsport MD 21795, United States of America. Touch for directions. Other nearby markers. At least 8 other markers are within walking distance of this marker. Band Stand (within shouting distance of this marker); Williamsport (within shouting distance of this marker); The Wagon Train of the Wounded and Williamsport (about 400 feet away, measured in a direct line); a different marker also named Williamsport (about 400 feet away); The Wagoner's Fight - July 6, 1863 (approx. 0.2 miles away); The Springfield Farm (approx. 0.2 miles away); a different marker also named Springfield Farm (approx. ¼ mile away); Murder of Dewitt Clinton Rench (Rentch) (approx. ¼ mile away). Touch for a list and map of all markers in Williamsport. More. Search the internet for Boy Scout Troop 17, 100 Years Old. Credits. This page was last revised on April 6, 2019. This page originally submitted on April 6, 2019, by Devry Becker Jones of Washington, District of Columbia. This page has been viewed 46 times since then. Photos: 1, 2, 3. submitted on April 6, 2019, by Devry Becker Jones of Washington, District of Columbia.